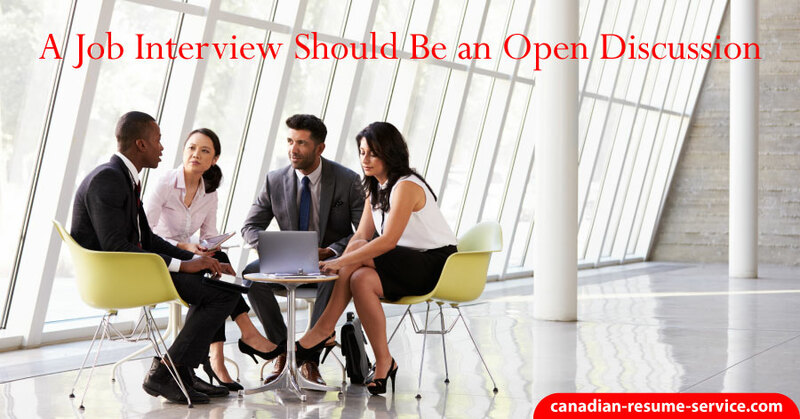 If possible, make the job interview an open discussion to increase rapport and build your credibility. A conversational interview format will allow the dialogue to flow naturally and the interviewer will learn more about your personality and who you are as a professional. In turn, you will learn more about the company and the interviewer. Consider the typical job interview stereotype: the intimidating and powerful interviewer interrogates the ill-fated candidate, looking for flaws, tapping into weaknesses, and trying to trap the candidate into saying or doing something that will knock them out of the running. While this might be how it feels to be a candidate, in reality, interviewers desperately want to find the right person to fill an open position. The talent shortfall is hindering the company, hurting the productivity, and causing the hiring committee to spend inordinate amounts of time interviewing potential replacements. Candidates who understand and appreciate the interviewer’s perspective give themselves an advantage during interviews. They tend to be less nervous and less paranoid about what the interviewer is trying to uncover with a particular question. But candidates who can elevate the interaction another rung—from “interrogation” to “discussion”—will find this change in focus alters the interview from a stressful conversation to an engaging dialogue about the company’s challenges and solutions. The first step in achieving this transformation is to change your mindset. During your job search, approach each contact, discussion, and meeting with confidence. You know what you have done in the past; you know your strengths, skills, and expertise. Be sure you are spending ample pre-interview time preparing your success stories and quantifying the results of your past professional efforts. Take time for introspection too, so you clearly understand and can articulate “who you are” and the value you can offer a company. Approach each conversation as an opportunity to learn. Whether in a networking discussion or an actual job interview, be careful not to manipulate the spotlight engaged in a long-winded dialogue. Instead, ask questions, listen carefully, then look for opportunities to relate what you’ve learned about the company, the industry, a challenge the company is facing, etc. to your knowledge and experiences, and phrase them in the form of solutions. During an open discussion, you are free to mention articles or books you’ve read, professional methods you’ve experimented with (successful or not-so-successful), things you’ve learned from colleagues, and problems you found obstinate in similar situations. Then the interview becomes a discussion between two professionals with some shared challenges and experiences. It becomes natural to relate your success stories in a way that is wholly relevant to the company’s problems, rather than merely reciting accomplishment statements that you’ve memorized for the interview.